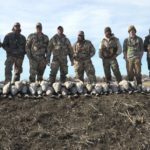 Kansas waterfowl hunting is no secret, it’s a gem of an opportunity that boasts up to 6 Canada geese daily, a season that runs from early-November through early-February. 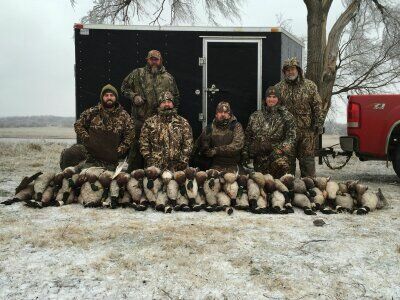 Combined with ducks to include the central Flyway’s 5-mallard limits, Kansas makes for an excellent waterfowl hunting adventure that’s located within a day’s drive for most of the United States. 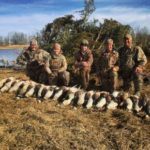 SummerDuck Outfitters is high-quality Kansas waterfowl hunting that is ideal for friends or families that want to enjoy quality camp times exclusively among themselves and experience real-deal waterfowl hunting. 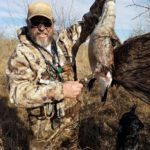 Located about midway down the Central Flyway, duck and goose hunting in Kansas can be as good as it gets. 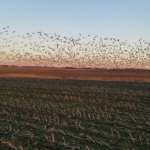 Quivira National Wildlife Refuge and Cheyenne Bottoms are collectively referred to as the “8th Wonder of Kansas” due to their long history of attracting and holding millions of migrating waterfowl. They are 2 of only 29 places in the United States listed as Ramsar wetlands of international importance. 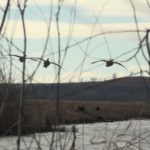 SummerDuck Outfitters’ exclusive use of prime, private properties to include hot agricultural crops, and natural and managed moist-soil wetlands that are vital to feeding hungry waterfowl throughout the winter. 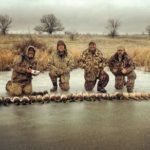 Expert scouting, decades of waterfowl hunting and guiding experience, and hospitality round the list of ingredients necessary for consistently good waterfowl hunting in Kansas. 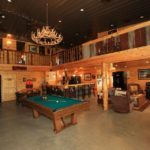 Owner Joe Summer has spent the past 25 years earning a great reputation for taking care of clients from throughout the US. 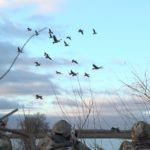 Giant Canada geese, cackling geese and greenheads are the specialty, but there is an abundance of white-fronted geese and other duck species to include wigeons, pintails, teal and gadwall also. 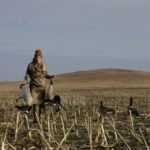 Though not specifically targeted, plenty of light geese find their way into the bag as well. 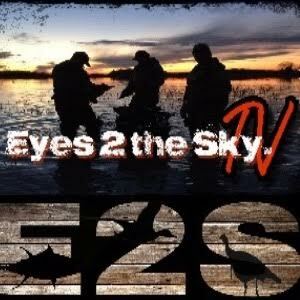 Hunts are conducted from field layout blinds or other blinds located on the pre-scouted X. 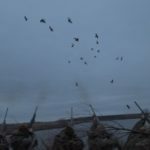 Ducks seems almost always to swarm the goose spread at first light for little warm-up action preceding the main event of black-paddles-down, decoying geese. 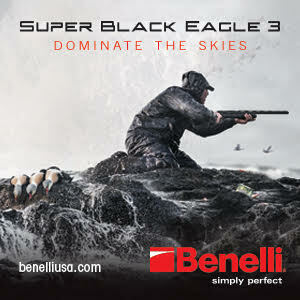 “We go where the birds want to be and hunt when they want to fly,” explains Joe Summer. 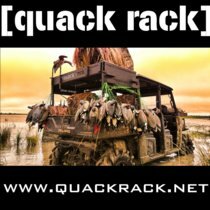 SummerDuck Outfitters operates out of Independence and covers a significant amount of quality dirt. Most drives are around 30 minutes or less drive-time, but with 4 counties worth of quality dirt under wraps, going to the action sometimes requires longer. A minimum 3 hunters makes a group, but 6 hunters is perfect. Groups are never mixed and have their designated lodge exclusively to themselves. 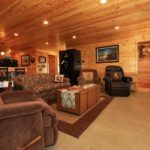 Each lodge is very comfortably furnished with the comforts of home and guests need bring nothing but hunting gear and personal toiletries. Kitchens are fully equipped for guests that like to make themselves at home cooking their at-home specialties, but for guest convenience it’s as simple as visiting nearby cafes and ordering from a menu. And they’re not letting you leave without grilling up some great Kansas corn-fed beef! 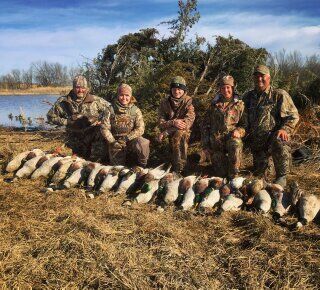 Located about 1.25 hours from Tulsa and about 1.75 hours from Wichita, this Kansas waterfowl hunt is convenient to commercial airline services. Located in America’s heartland, it’s also within only one day’s driving distance for much of the US. 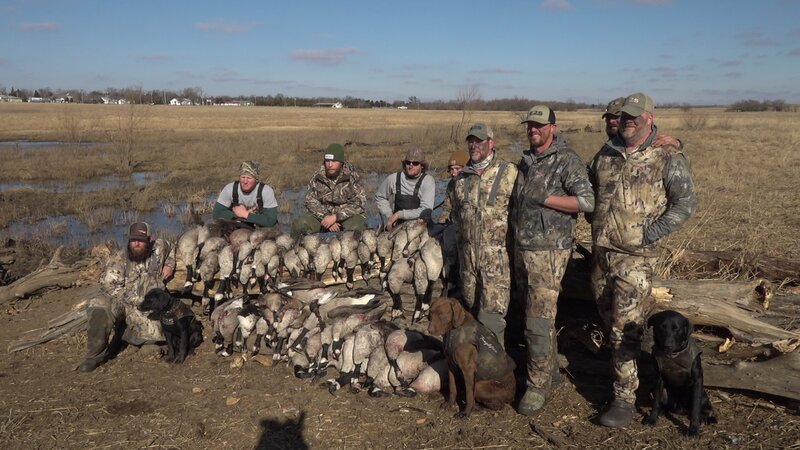 For more information about this excellent guided Kansas waterfowl hunt, please contact Joe Summer, SummerDuck Outfitters, 803-275-4927, duckman563@gmail.com. 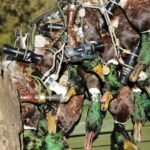 Kansas duck hunting season generally runs from mid-November through late-January. 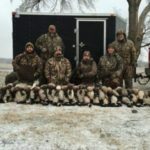 The Kansas goose hunting season usually runs early-November through mid-February and consistently good for the entire season. 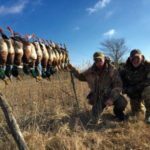 $1,500 standard 2.5-day Kansas waterfowl hunt include 3 nights lodging, fully-guided hunts, scouting and excellent lodging and meals. Longer stays can be arranged, call for details. 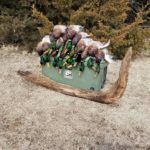 Minimum 3 hunters. 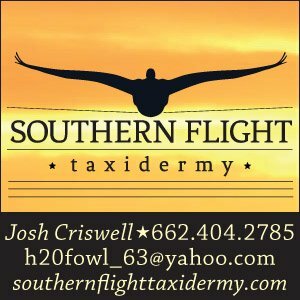 Non-hunters are welcome for $100/night to include meals. A 50% deposit is required to reserve dates. Balance is due on arrival. All forms of legal payment are accepted. 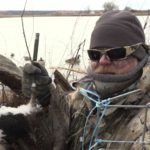 Non-resident requirements to goose hunt in Kansas: Resident or Non-resident hunting license for Kansas, Kansas State waterfowl stamp, Kansas HIP Permit, Federal Waterfowl Stamp. 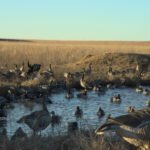 Kansas requires hunter safety with allowable age exemptions. 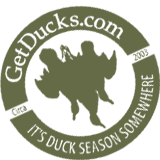 Hunting licenses can be purchased online, through all licensed agents, or Kansas Department of Wildlife & Parks offices. Birds are processed at migratory bird preservation facility for $3 (ducks) and $5 (geese). Guests may also choose to clean their own birds. 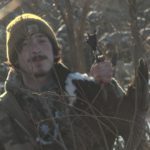 All birds must be tagged and processed per federal statutes to include a fully-feathered wing or head.